Commercial Property Conveyancing can often be a confusing, stressful task and legal assistance is recommended to ensure that the transaction runs smoothly. When buying or selling a commercial property, the process can become an even more elaborate affair than residential conveyancing with additional business and development factors to consider on top. 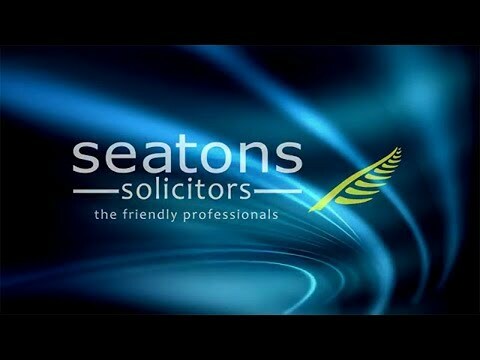 At Seatons our team of highly trained legal professionals have a wealth of experience in commercial conveyancing and provide clear, easy to understand legal advice at low sensible fees. For more information, feel free to give us a call on 01536 276300. Await Draft Contract – Once the offer has been accepted, the seller’s solicitors will provide a first draft of the contract. A fixtures and fittings form will also be provided, and this must be examined at length to ensure everything is in order. Searches – The Buyer’s solicitors, once in receipt of Title Information Documents for the property, will commence searches. These searches will be designed to ensure that the purchaser has the ability to run their business freely and in accordance with their instructions. Commercial Property Standard Enquiries are a key aspect of this and highlight some of the main issues, if any, to the property which may affect how the purchaser runs their business operations in the future. Finance – Financial arrangements need to be finalised so that, if the premises are being purchased with aid of a mortgage, a mortgage application has been submitted. Should this be the case, a specialist commercial property valuer may be instructed to value the premises and advise the mortgage lender of the property’s suitability for lending purposes. Contract Signing – Once the results of the searches have been explained to the purchaser, they will be asked to sign the agreed final draft of the contract and transfer the deposit to the solicitors. A completion date will subsequently be agreed. Exchange of Contracts – Exchange takes place when contracts between both sides have been exchanged. The purchaser will typically pay a deposit during this point as well. The deal has now become legally binding. Completion – On completion, the purchaser’s solicitors will transfer any remaining monies owed to the seller’s solicitors. Additional disbursements include legal fees, Land Registry Fees and Stamp Duty Land Tax (if any). Preparing the Contract­ – Once a purchase offer has been accepted for commercial premises, a draft contract is sent to the buyer’s solicitors. Title Deeds will be obtained to ensure the contract is tailored specifically for the seller’s needs. Requisitions – The Purchaser’s solicitors will check through the title documentation and carry out searches of the property. These searches will be tailored to ensure the purchaser can use the property in the course of its proposed business. Commercial Property Standard Enquiries will provide primary information on this. The results of these searches will be reflected in any amendments made to the agreement for sale. Pre-Contract Exchange – Both sides to the agreement will agree upon a contract to be signed. A completion date will also be established at this point. Post-Contract Exchange – A transfer document is sent to the seller, as evidence that the property is being transferred to the buyers. Any relevant mortgage redemption will also be undertaken at this stage. Completion – The purchaser’s solicitors will electronically transfer the balance of the property to the seller’s solicitors. The purchaser can then look to immediately occupy the premises, subject to any restrictions or covenants on the land prior.